First step is a detailed examination for medical history/anamnesis, in which primary diseases (e.g. diabetes, high blood pressure), medications and habits are filed to the record. We create clinical and radiological data and measure how deep the gingival pockets are. The bacterial infection must be cured first. This is wha the therapy itself starts with instructions about how to maintain yout teeth healthy at home, complemented by a professional cleaning in our practice. 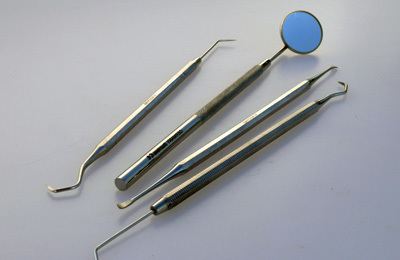 The gingival pockets and root surfaces are cleaned diligently under local anaesthesia. We remove the heavy stains lying under the gumline attached to the root surfaces of the teeth with special instruments and smoothen the root surfaces. Our methods are that gentle that even the deepest gingival pocket can be cured with our help. Primary objective of the initial treatment is the elimination of those germs that have caused the affection.